Hollywood actor calls Western Wall ‘Myth’! Afro-American Oscar-wining actor Morgan Freeman was kicked out of the Western (Wailing) Wall vicinity for calling it a myth the word which is banned within the Jewish holy area. It happened when the Dark Knight Rises star was filming National Geographic chennel documentary series The Story of God in the occupied East Jerusalem. In April 2016, Morgan Freeman humiliated himself by posting a photo of himself in East Jerusalem on Facebook with the tag, Jerusalem, Israel, sparking a debate in which nearly 800 readers corrected him that none of the 193 UN-member states recognizes Jerusalem being Capital City of the Zionist entity. Realizing his mistake, Freeman deleted the word Israel from the Facebook post. Morgan Freeman who played the part of Nelson Mandela in 2009 movie Invictus, was honored by Canadian Friends of Hebrew University at the 2013 Celebration of Excellence in Toronto. 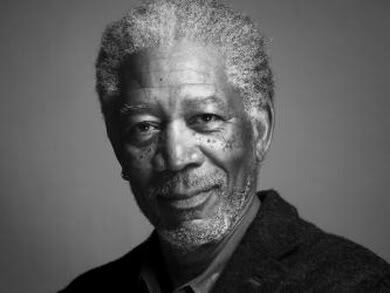 Morgan Freeman believes in the myth of Six Million Died. In a 2015 podcast for the US Holocaust Memorial Museum, he said that even after 70 year of the WWII, European still hate Jews. Freeman though born in a Christian family, is not sure if God really exists. He is a Democrat. He endorced Barack Obama in 2008 – not because Obama is Black. Freeman has called Black History Month ridiculous as there is no White History Month. In July 2015, Freeman along with Jordanian Queen Noor appeared in a campaign video (below) produced by anti-nuclear group Global Zero in support of P5+1 and Iran’s nuclear deal. On September 13, 2008, Captain (ret) Joe Cortina of Green Beret in a blog post said that the National Geographic, which was established by a group of scientists, explorers, military officers in 1888 to introduce its readers to the world around America. However, now the magazine has become a mouthpiece of Godless Zionist Jews who are bent on to destroy the principles and history of Christianity. This entry was posted in World News and tagged Judaism. Bookmark the permalink. This sounds like saying both Le Pen and Islam are ignorant of history. You commented on the wrong post. Marine Le Pen sent her vice-president Louis Aliot to pray at the Wailing Wall in December 2011 after started dating a French Jew. I’m sure she knows the Holy Wailing Wall far better than she knows Islam. But, being a Western Catholic, her hatred of Islam is understandable.